Senior police officers including divisional commanders and provincial police commanders from the 22 provinces have started arriving in Kimbe, West New Britain (WNB) for the annual police commissioner’s conference. The week-long conference will start on December 5th. 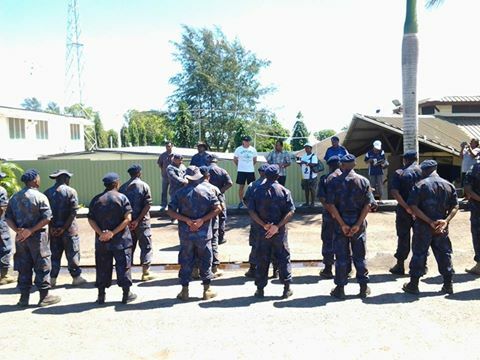 Police officers from East New Britain arrived by road with their support staff with more senior officers and heads of other government departments and statutory bodies to arrive in the next few days. The famous police brass band will open the big parade where the WNB Governor Sasindran Muthuvel will review officers on Monday at Kimbe Independence Park. Among the issues to be discussed is security for both the APEC 2018 and 2017 National election.